From the Shopdrops Gallery of Adorable Baby GiftsLadybug hooded tubbie towel is perfect for those cold winter days so your baby would have the warmest wrap after bath time. Makes a perfect gift to a new born baby! 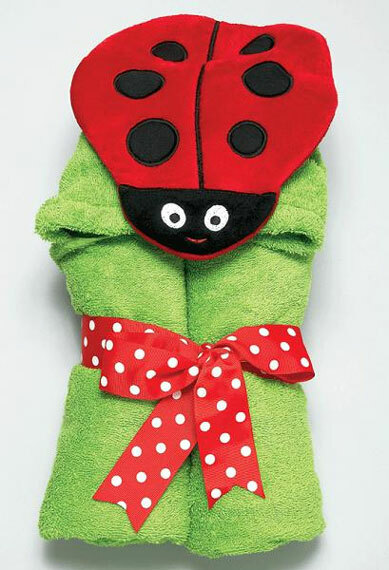 Made from a 27"x 54" full size towel, these hooded towels fit a wide range of age groups from infants to 6+ years. They are great for the bathtub, pool and the beach. The towel and hood are made from 100% absorbent cotton terry and each hood design is made of extra soft plush polyester.